The Director and Staff of the BBS take this opportunity to wish everyone a blessed, happy and safe Eater holiday! 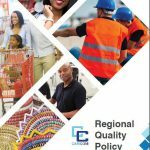 The CARICOM Regional Quality Policy was launched in Barbados yesterday, 10th April with Barbados Minister of Small Business, Entrepreneurship and Commerce, Dwight Sutherland receiving his copy. On Friday March 29, 2019 BBS participated in Corozal Junior College Annual Expo and Trade Fair . BBS and National Metrology Centre (CENAM) from Mexico hosted a Metrology Workshop on the challenges and perspectives of Metrology within the framework of QI in Belize. The new codes will help Member States improve the energy efficiency of their buildings and support energy conservation efforts. Metrology Technician - Dony Gonzalez's participation in a workshop on the General requirements for the competence of testing and calibration laboratories in San Salvador. NCSLI is a three-day technical exchange program in thematic areas of Metrology and ISO 17025: 2017. Do you love your environment? Then break up with single-use plastics and go green! The BBS and BTB are currently conducting a documentation audit of Zip Line Companies in Belize. The Honorable Minister, Tracy Taegar-Panton, along with a delegation from the Ministry of Investment, Trade and Commerce conducted its first series of site tours of several agro-processors companies and farms that supply citrus and fruits for the export market. First Standards Advisory Council Meeting (SAC) for 2019. The Belize Bureau of Standards hosted a Stakeholder Consultation today, January 25, 2019 to discuss the proposed application of a front-of-package nutritional warning labeling on pre-packaged foods. BBS hosted a two-day Strategic Planning Meeting on 21 & 22 January 2019 with its Technical Officers. First Meeting of the TC for Biodegradable Products. BBS Standards Officers participating in a three-day session on the World Trade Organization (WTO) Notification Requirements. BBS congratulates Ms. Sandra Cocom and Mrs. Margarita Ishim-Choc on their successful completion of the Spanish Course for Public Officers conducted by an instructor from the Pontificia Bolivariana University in Colombia. BBS participated in UB Science Fair, highlighting the importance of measurements in daily life. Today Scientists formally agreed that all of the measurement units will now be defined by constant of nature rather than physical objects - the biggest change in international measurement since 1875! 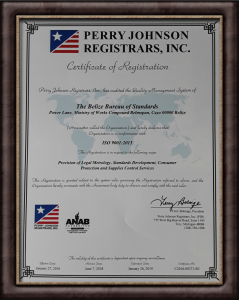 BBS successfully completed a two-day recertification audit to ISO 9001:2015 Quality Management System. Two of the 10 successful project proposals discussed at the IX Meeting of the Mixed Commission on Technical and Scientific Cooperation between Mexico and Belize includes Standardization and Metrology. Voting for the redefinition of four of the seven base units for the International System of Units (SI) takes place on November 16, 2018. Visit our News and Events page to learn more. BBS in collaboration with the Ministry of Energy and the CROSQ hosted an awareness session entitled, "Protection of the Consumer - Support the Energy Labelling Scheme for energy-efficient equipment and appliances" under the Renewable Energy and Energy Efficiency (R3E) Project. BBS hosted its Slogan and Poster Competitions Award Ceremony on Friday, October 26, 2018 at the Mexican Cultural Institute in Belize City. Director, Mr. José Trejo touring the Bureau of Standards Jamaica (BSJ) mass, temperature, volume, and energy efficiency laboratories. CARICOM Regional Organization for Standards and Quality (CROSQ) hosted the 33rd Technical Management Committee Meeting from September 12-14, 2018 in Trinidad. Mr. Christopher Cortes Zuniga, quality manager of LACOMET (Laboratorio Costarricense de Metrología) delivered a five-day training course for Officers at the BBS on the recently revised international standard for calibration and testing laboratories - ISO/IEC 17025:2017. Consumer Protection & Liaison Officer, Mr. Rodolfo Gutierrez, participated this week in a meeting to discuss the Draft Model Consumer Protection Regulations for the CARICOM Model Consumer Protection Bill. This meeting was held in Barbados by the Improved Access to Justice in the Caribbean (Impact Justice) Project. BBS in collaboration with BAHA and CGA hosted a seminar under the theme Accreditation: Delivering a Safer World. Presentations at today’s seminar highlighted the importance of accreditation in ensuring safer food and placed special emphasis on the two entities journey towards becoming accredited. Speech by Outgoing Chairman of the CARICOM Regional Organisation for Standards & Quality, Mr. Jose Trejo at the Opening of the 31st Meeting of the Council of CROSQ, held at Marriott Resort, Frigate Bay, St. Kitts & Nevis on October 5, 2017. 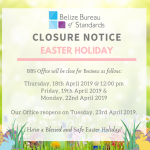 The Belize Bureau of Standards (BBS) is the national standards body responsible for promoting efficiency and competitive production in goods and services, with Quality Infrastructure (QI) serving as the foundation in achieving this objective. The pillars of Standardization, Metrology, Conformity Assessment (sampling, testing, calibration, inspection, certification procedures) and Accreditation combined, serve to ensure that goods and services, whether produced domestically or imported, meet established regulatory requirements, such as those relating to the health and safety of consumers and the environment. The Bureau is essentially responsible to protect, secure and safeguard the welfare of the country, a function carried out through the Consumer Protection Unit and the Supplies Control Unit. The BBS website will allow the Department to raise awareness and increase the level of understanding amongst the General Public as to the importance of national and regional quality infrastructures in both the societal and economic well-being of Belize. 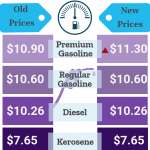 This website has been produced with the financial assistance of the European Union. 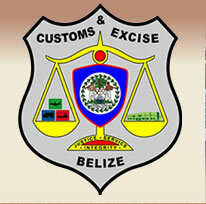 Its contents are the sole responsibility of the Belize Bureau of Standards and can under no circumstances be regarded as reflecting the position of the European Union.